This is the interesting enamel item bought from the flea market at Out of the Blue, here in Edinburgh, last time it was on. So far, I have not worked out what it is. Why did you buy it? You might ask, well, I bought it to use as a toothbrush holder in the upstairs bathroom. 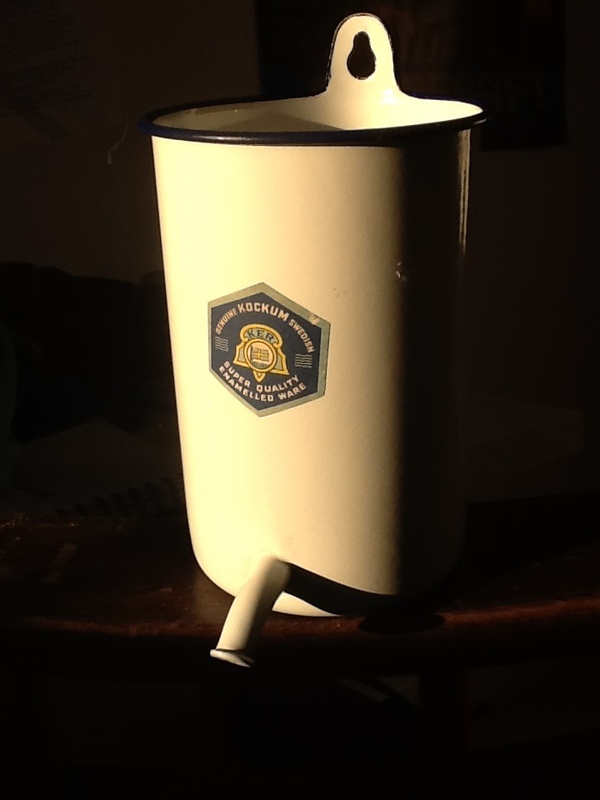 Also, I have a wee thing about enamel ware too, if I’m honest.